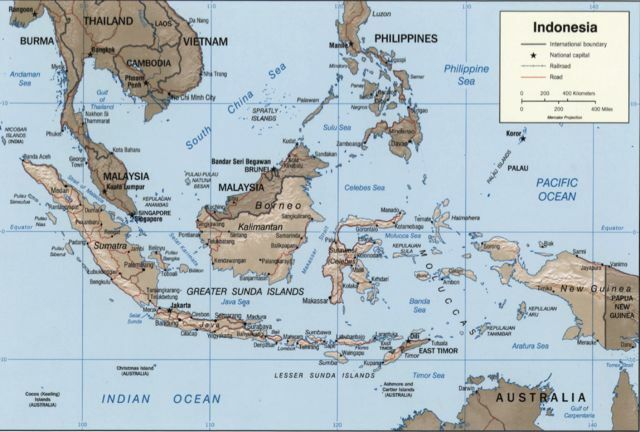 Indonesia, officially the Republic of Indonesia, is a country in Southeast Asia and Oceania. Indonesia is an archipelago comprising approximately 17,508 islands. It has 33 provinces with over 238 million people, and is the world’s fourth most populous country. Indonesia is a republic, with an elected legislature and president. The nation’s capital city is Jakarta. The country shares land borders with Papua New Guinea, East Timor, and Malaysia. Other neighboring countries include Singapore, Philippines, Australia, and the Indian territory of the Andaman and Nicobar Islands. Indonesia is a founding member of ASEAN and a member of the G-20 major economies. The Indonesian economy is the world’s seventeenth largest economy by nominal GDP.